Spicy new burgers for both brands, plus Buffalo Chicken Tenders at Hardee’s, feature iconic Frank’s RedHot Buffalo Wings Sauce. Beginning today, August 21, you’ll be able to pick up a Buffalo Blue Cheese Burger at both Hardee’s and Carl’s Jr restaurants. Hardee’s is also offering Buffalo Chicken Tenders – hand breaded tenders dipped in Frank’s RedHot Buffalo Wing Sauce. Just in time for the start of football season, Carl’s Jr.® and Hardee’s® today announce new menu items featuring the bold flavors of spicy Buffalo wings. The Buffalo Blue Cheese Burgers at Carl’s Jr. and Hardee’s feature authentic Frank’s RedHot Buffalo Wings Sauce, blue cheese crumbles, Swiss cheese, mayo, red onion, tomato and lettuce atop a charbroiled beef patty and served on a sesame seed bun. In addition, Hardee’s is offering Buffalo Chicken Tenders dipped in Frank’s RedHot Buffalo Wings Sauce with buttermilk ranch dipping sauce. The new burger and chicken tenders are available now at all Hardee’s locations. 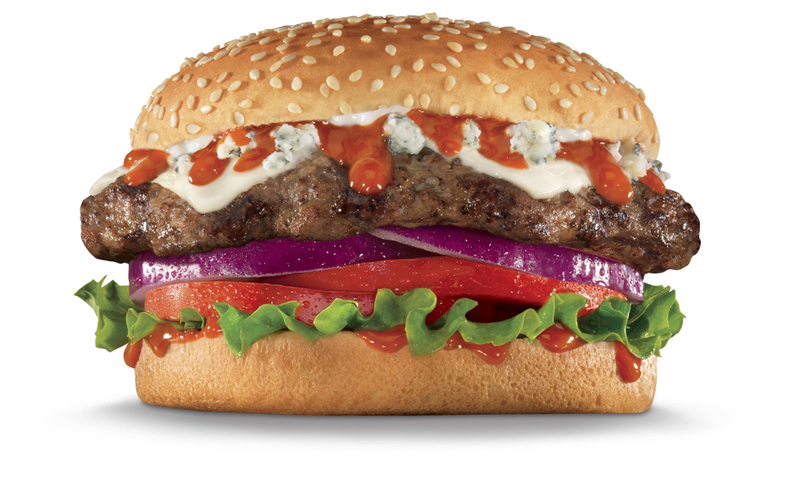 The Buffalo Blue Cheese Burger will be available at Carl’s Jr. starting August 21st. To capture the authentic taste of true Buffalo wings, Carl’s Jr. and Hardee’s turned to iconic hot sauce Frank’s RedHot. Made with full-bodied cayenne peppers, vinegar, garlic and other spices, Frank’s Original RedHot Sauce became a culinary legend when it was used on the very first Buffalo wings created in Buffalo, N.Y., in 1964. The Buffalo Blue Cheese Burger is available for purchase as a single, double or Six Dollar Burger or Thickburger starting at $2.89 for the single and can also be ordered as a combo meal with fries and a drink. The Buffalo Chicken Tenders are available at Hardee’s in three-piece and five-piece servings starting at $3.49. Prices may vary by location. The football-themed ad for the Buffalo Blue Cheese Burger, featuring the theme music from Monday Night Football, can be viewed on the brands’ YouTube channels (www.youtube.com/carlsjr and www.youtube.com/hardees) and will start airing nationally at the end of August. Stay tuned to Facebook and Twitter (www.twitter.com/carlsjr and www.twitter.com/hardees) for the latest on the flavor of the football season. 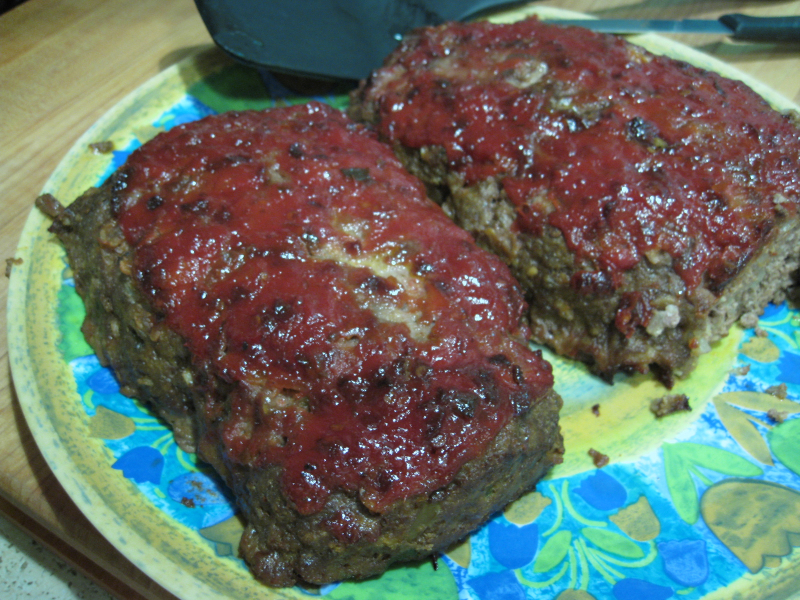 Another use for canned Chipotle peppers in adobo is this spicy meatloaf recipe. Marilyn whipped up this easy meatloaf recipe for us today. Using chipotle peppers, adobo sauce, green chiles, and hot pepper jelly, this meatloaf is our new favorite recipe. She combined aspects of both Emeril Lagasse’s Tex-Mex Meatloaf, and Rachel Ray’s Texas Hold-Em Mini Chipotle Burgers. We’ve made both recipes separately, and can tell you they are both delicious! If you make anything from this recipe, do the sauce to drizzle on the meatloaf. It rocks! She used canned chipotle peppers in adobo sauce, canned chopped green chiles, and Heine Hurtin’ Hot Sauce for the pepper jelly, but you could use any Jalapeno or other pepper jelly (Four Monks is good). Because either one of these great dishes are made indoors, they give you the spicy, smoky, burger-esque flavors you crave from your grill when it’s just too cold outside to do it.